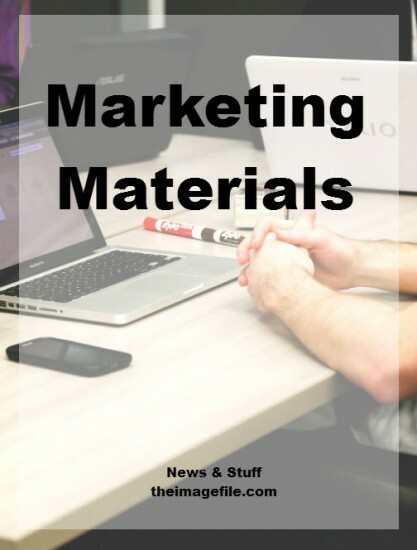 Having the right marketing materials to present to anyone, on or offline, is a very important aspect of your business. They truly represent your brand, often give that important first impression and offer an opportunity for you to present to a potential client what kind of photographic services you offer. Marketing materials are part of your marketing mix, the opportunity to show off your best work. Samples – a showcase of what’s on offer. People like to touch and feel certain products before they buy, especially if they are a big investment. Showing a canvas on the clients wall can help them visualise it for example, is it the right size? Pricing guide – super important, it’s what most people look at before ordering, unless we have that rare, ‘money no object’ client! Take-aways – PDFs your customers can leave with; sales brochures, flyers, postcards, business cards, etc. At an exhibition for example, a potential customer may speak with dozens of companies during the day; they’ll need an easy reference back to you once they start wading through the marketing literature once at home. Making sales is as simple as recognising the moments when people are being receptive and offering buying signals, such as asking questions about price and quality. In these internet-enabled times, people have researched already and generally figured out what they like and don’t like. Your job is to take them through the last steps of the process, provide reassurance and give clarification on product detail. Once you have reassured them on all aspects, ask them back if they are happy and if they would like to buy from you. Keep it simple and clear. Having an easy-going sales patter, with a quality product showcase, makes your job easier and their potentially uneasy buying mood a smoother and pleasurable experience. Providing a calm and informative forum will reassure your customer. This is the same online as in your studio. Having an easy-going sales patter, with a quality product showcase, makes your job easier and their potentially uneasy buying mood a smoother and pleasurable experience. There’s nothing worse than an uncomfortable sales situation, it simply doesn’t work. Nowadays buying online is the norm, just look at the huge continued growth of big brands like eBay and Amazon, making this user journey through to successful payment is so critically important – you don’t want to lose sales right at the death.